Poland is ushering in new programmes, geared to improving commercial processes and the overall business landscape, while building on existing regulations. In 2017, the sixth largest European Union member state adopted the Strategy For Responsible Development. A central tenet of this fresh vision for economic growth is inclusiveness through ambitious social projects, while fostering stability in public finances. On 26 January 2018, the Constitution for Business legal packet consisting of over 100 initiatives were accepted by the lower house of the Polish Parliament, and are now poised to impact domestic and foreign companies — with some particularly exciting opportunities in store for Small and Medium-Sized Enterprises (SME). This non-exhaustive list highlights key schemes and how they stand to positively affect businesses. Complementing the Strategy, new publicly funded initiatives are being put in place — supported by tightening the Value Added Tax collection gap (by €5.41 billion from Q1 to Q3 2017, as per early data). These are aimed at socio-economic cohesion and social inclusion — in part, increasing income, amidst the backdrop of a stable Polish economy. Fluidly combining family and development policies, the 500+ programme is the most significant family support system to be implemented since Poland’s 1989 democratic transition. It subsidises childcare costs, with a view to assisting families, and elevating birthrates, thus strengthening the labour force of the future. In 2017, birth rates rose by about ten percent vis-à-vis the previous year. The World Bank considered export-supporting Eurozone growth, as well as consumption – spurred by record low unemployment rates and rising wages – as engines for Polish growth when it projected a four percent lift in GDP for 2018. Accordingly, the tax-free allowance threshold and minimum wage are going up. A 2017 survey saw 70 percent of Poles satisfied with their financial circumstances; 40 percent plan to augment spending. The latter would be meaningful, given Poland’s massive market of 38.5 million. The Polish Development Fund is a powerful commercial tool which has been added to Poland’s arsenal, via the new Strategy. Its chief purpose: to service large enterprises, SMEs and startups through bespoke financial and non-financial solutions, promoting innovation and environmental protection. The organisation — a cluster of financial and advisory institutions, local governments and individuals — develops programmes targeting long-term investment and economic potential in sectors such as insurance and banking, and under themes like foreign expansion and entrepreneurial development. Smaller companies will see their accounting procedures simplified. The net income threshold at which a business is required to conduct “full accounting” has been increased from €1.2 million to €2 million per year — a shift likely to promote such enterprises’ annual savings. One potentially game-changing proposition to emerge out of the Strategy for Responsible Development is the simple joint-stock company (or PSA). Currently under consideration, a PSA could be established with low minimum share capital requirements. More nimble and informal than the traditional joint-stock or public limited company, this legal structure may also be tailored to novel and relevant forms of financing like crowdfunding. While the structure of PSAs would be suitable for a range of businesses, they are likely to appeal to startups. Decision-makers planning commercial endeavours in Poland can apply for two categories of government support — employment and investment grants — within select areas of industry. These include: automotive, aviation, electronic and household appliances, biotech, food processing, modern services, and R&D. Large expenditures in other sectors qualify for assistance too. Employment grant aid ranges from $1,000-$5,000 USD per job; while investment grants offer between 1.5 to 7.5 percent of eligible costs. Poland has received the largest share of available European Union funds: €100 billion between 2014-2020. Foreign companies may take advantage of this by applying through their Polish partners or subsidiaries for cash grants co-financed by the EU. Specific points of interest are R&D, new tech from SMEs and renewable energy and efficiency. Research and development has also been singled out by the Polish government as a vital innovation node, so multinational corporations and SMEs alike may benefit from R&D tax relief. Relevant outlays include wages, social security contributions, materials, expertise, research equipment usage, and depreciation of fixed and intangible assets. The write-offs vary from 80 to 150 percent of costs incurred, contingent on types of eligible costs and company size. Polish policymakers clearly recognise the value of intellectual property (IP) — such as patents, trademarks and copyrights — as currency in a dynamic idea-based economy. As such, important steps have been taken to help commercialise IP and encourage further business-academic cooperations. SMEs can now benefit from an additional 50 percent tax deduction for the costs of acquiring IP rights associated with R&D. 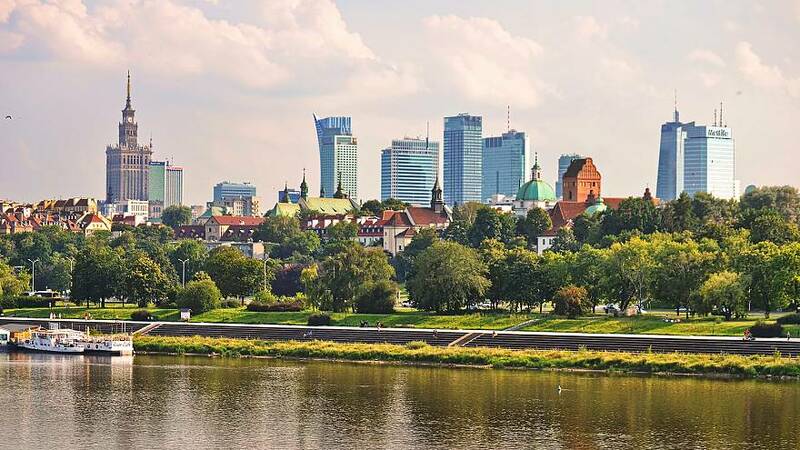 Poland has established 14 Special Economic Zones (SEZ) — administratively separate areas of the country where business may be conducted on advantageous terms. Companies investing over €100,000 can take advantage of this designation, which features exemptions for corporate income tax for legal entities or personal income tax for non-legal entities, (from income generated from activities carried out within the Zone). Competitive pricing on fit-for-purpose land sites is included in the scheme. Property tax exemption may also be available, depending on the level of job creation and investment expenditures. Such SEZ benefits are currently available through 31 December 2026. An upgrade to this model, the Polish Investment Zone, has been proposed; it would expand the territorial remit of said incentives throughout the entire country.